Today’s industry standard for protecting your steel wheels from corrosion is a three coat process. First, zinc phosphate is applied to the wheel, followed by a baked on epoxy e-coat primer. The third protective layer is a baked on powder top coat. 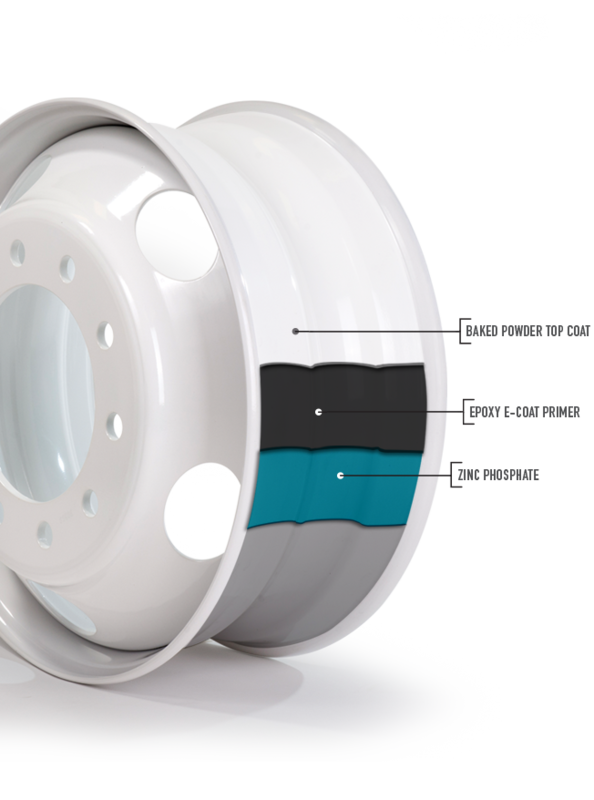 All 361° TCC steel wheels and rims receive this three coat protective painting process. 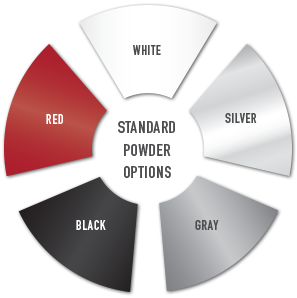 Standard powder paint options include white, gray, black, silver, and red with no extra charges.